While Sumerian cuneiform is usually seen as the oldest form of writing, recent archaeological discoveries now suggest that Egyptian hieroglyphs may be older. The Egyptian hieroglyphic system is believed to be from about 3300 or 3200 BC. 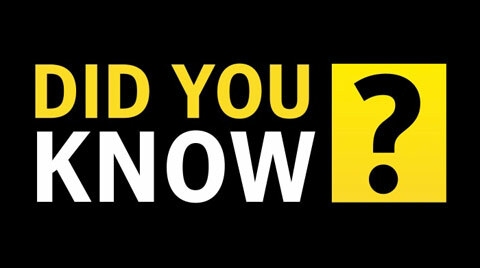 Egyptians used hieroglyphs for the next 3,500 years. 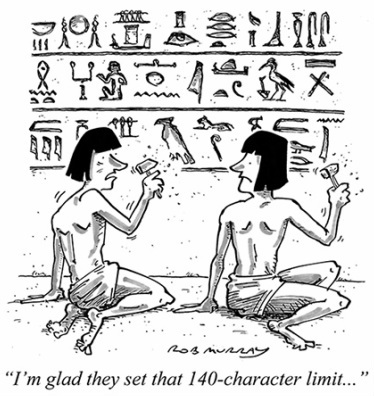 The hieroglyphic system had between 700-800 "glyphs". They were normally written from right to left and from top to bottom, but this was not always the case. Egyptians did not use spaces or punctuation. 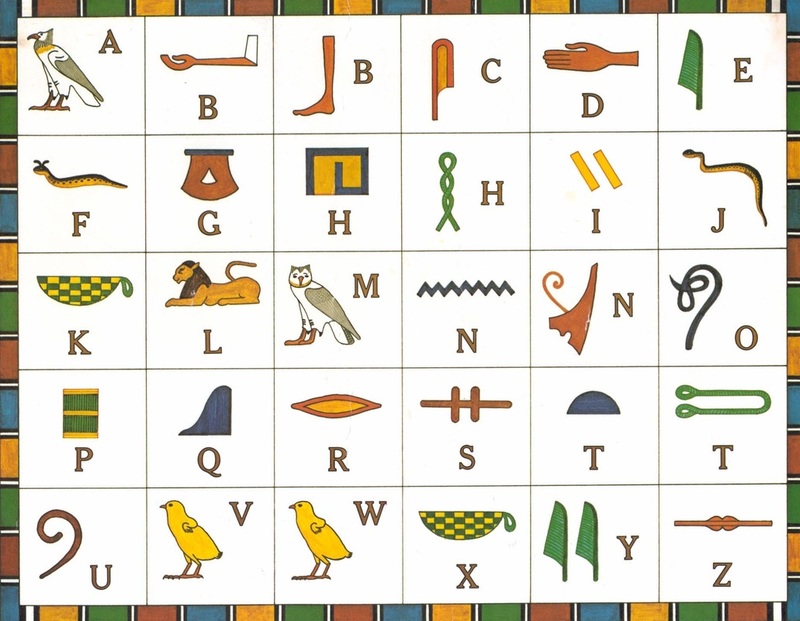 They also did not write vowels, so it is impossible to know how hieroglyphics are pronounced. To tell which way the writing "flows", look at the direction in which the pictures face. If they are turned to the left, they must be read from left to right. If turned to the right, they're read right to left. We couldn't understand hieroglyphics until a three foot black basalt slab was unearthed in Rashid (Rosetta), Egypt by the French armies of Napoleon Bonaparte in July 1799.
text written across it was accompanied by Greek and Demotic texts. (Demotic was an Egyptian cursive script for secular use.) It was later discovered that all three texts contained the same message. From 1821-1824, Frenchman Jean François Champollion used the Greek translation to break the hieroglyphic code. Egyptian teachers were strict. The harshness is seen in the fact that the Egyptian verb seba means both "to teach" and "to beat".